Castle/slide combos are a big wow with children. This combo fits in most halls and gardens. Pretty in pink and themed with magic and sparkle fit for a princess and her friends. A closed in bounce area with a slide makes it even more magical. 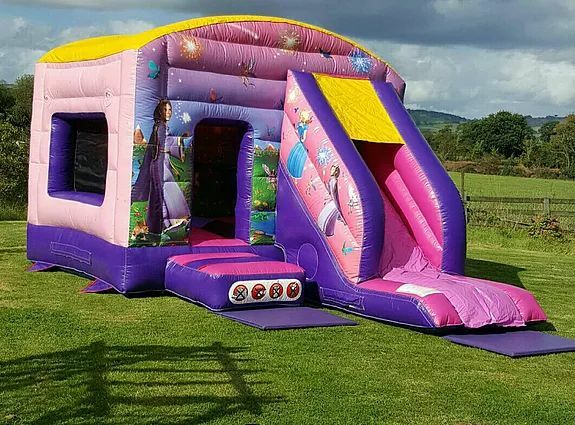 Suitable for princesses up to 1.5m tall.